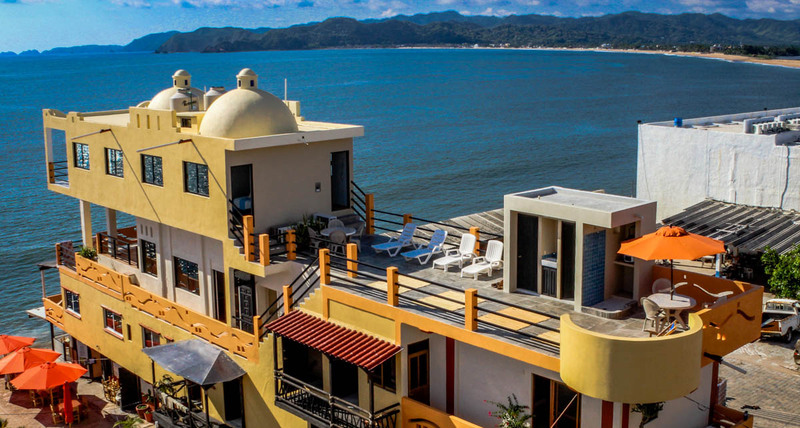 New Ocean View Suites and Terrazza at Casa Chips! As we write this update, it is nearly Thanksgiving in the US and we have a lot to be thankful for this year! Through the spring and summer, we’ve been working on some updates and exciting new additions to Casa Chips. And now, we can announce the availability of our twin suites on our new fourth floor! Our fresh additions are named appropriately, La Gamela Norte and La Gamela Sur. They offer stunning views, spacious bedrooms with domed ceilings, king-sized beds, bathrooms, kitchens and direct access to the new roof terrace. Perfect for a week or an extended stay on the beach! We are accepting reservations now. Our rooftop Terraza del Cielo is available to all our guests – to sun themselves on a bright, winter day, take in the sunset or just chat with friends while you enjoy the best of what Barra has to offer. 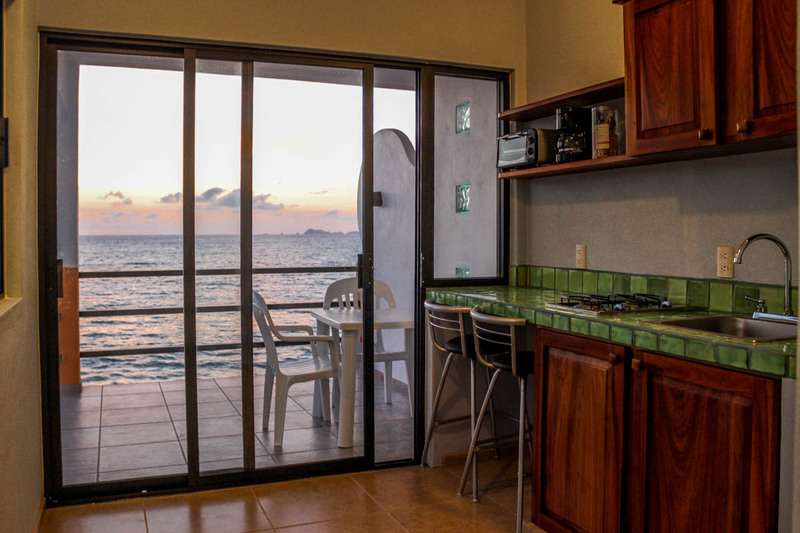 Stay at the top of Barra with Casa Chips! 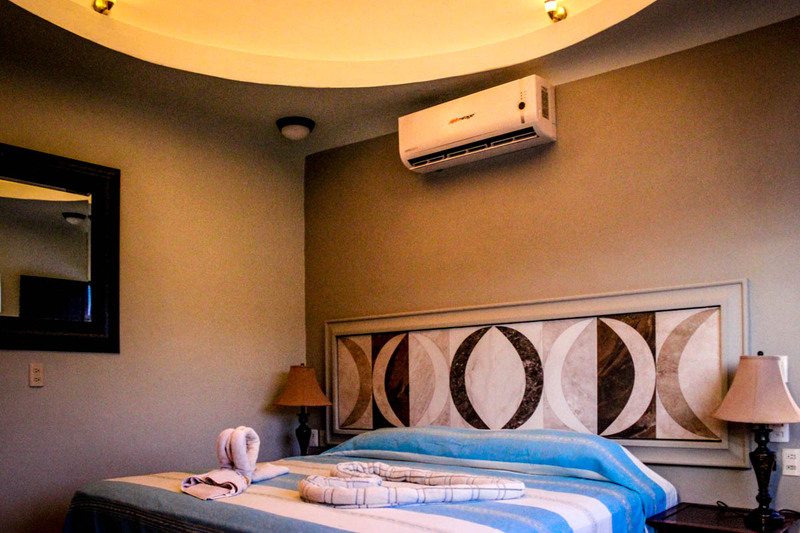 The Las Gamelas Suites are both beautiful – you are going to love them! 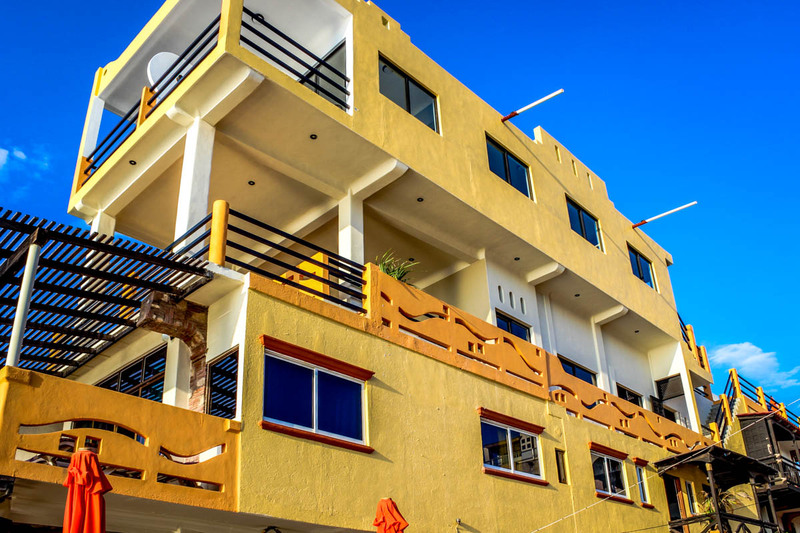 Imagine – You’ve spent a leisurely day visiting the small pueblos around the bay, had a great dinner of fresh seafood, watched the sunset from the Terraza, and now you can retire to your king-sized bed in your suite. In the morning, you can have coffee on your balcony – right from your private kitchen. When you have taken a shower, you can come down join us at Marlena’s for breakfast and make plans for another great day. There are more photos of Las Gemelas on their room page. Do take a minute to look at them. And we have a special page set aside just for the Terraza. Come down and see it yourself – at Casa Chips! Looking for your Newsletter? We have our beach – And much more – For You!